The type of mattress you use can give you a good night’s rest or keep you tossing or turning all night. You want to choose the best mattress for you and there are plenty of options. In this article, we will review both Tempurpedic and Therapedic so you can decide which is the right one for you. 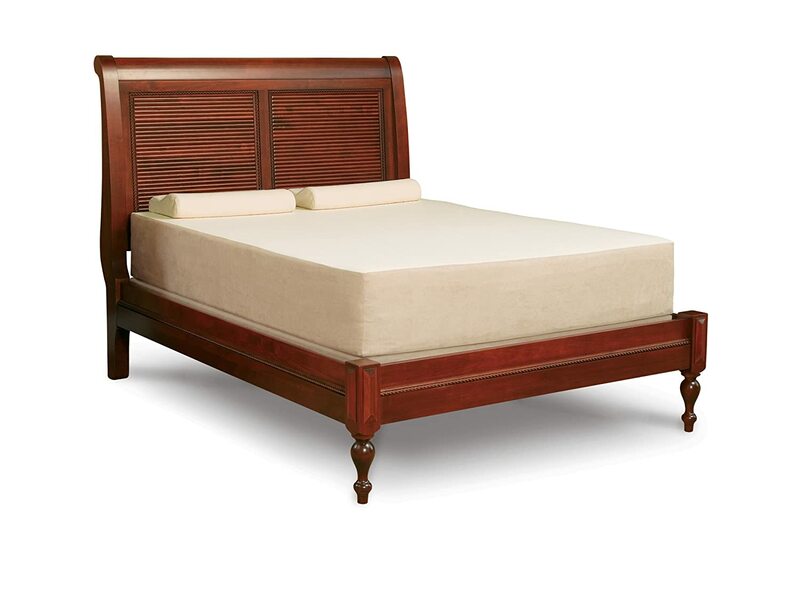 Tempurpedic is most often associated with the memory foam mattress. They were the ones to help develop this technology for NASA and then moved to create a line of mattresses that could be sold commercially. They started small with just one type of mattress, but they have really expanded their product lines and now offer many different kinds of memory foam mattresses along with bed stands, pillows, and even bedding. If you are looking for a memory foam mattress, Tempurpedic is the best place to start. They no longer have just one type of memory foam and offer every type of mattress for every type of customer. There are three different mattress collections and within those three collections there are 17 different mattresses to choose from. This collection of mattresses is the firmest that Tempurpedic offers. It offers more support than the other mattresses and also has a higher level of adaptation to your body’s contours and temperature. You can choose between five mattresses in this collection, each with varying degrees of support. This line is the softest of all the mattresses. It still offers a certain level of support to help keep your body in proper alignment. You can choose from six different mattresses in this collection and find the one that works best with your body. The Tempur-Flex line is one of the newer lines of mattresses and they offer a medium level of support. What is different about these mattresses is that they are highly adaptive to your own body. If you go with one of these mattresses you will get a mattress that feels like it is custom-made just for you. 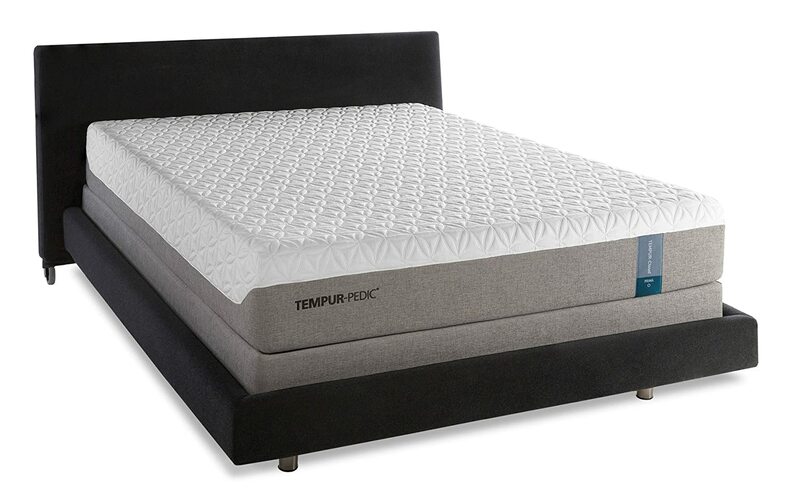 There are so many other products offered by Tempurpedic that you can find exactly what you need when it comes to memory foam. They have mattress toppers, memory foam pillows, adjustable beds, and even bedding. Tempurpedic is a highly trusted brand and they have really worked to make sure that whatever product they offer is of excellent quality. Tempurpedic is definitely a luxury brand and will cost more than the average mattress. Price points for these mattresses will range anywhere from $1,699 to $4,699 and while they are more expensive, you are getting what you pay for. Tempurpedic will let you try their mattresses for 90 days to see if you like it and they also have an excellent 10-year limited warranty policy so if anything happens to your mattress, they will fully replace it. These mattresses are great for someone who has a slightly higher budget and wants a brand that they can trust. Tempurpedic is highly recognized by organizations like NASA, Good Housekeeping, and CNN. Their mattresses will stand a lot of wear and tear and are backed by a great warranty. They do only offer memory foam mattresses, so if you are looking for a hybrid bed that has both coils and memory foam you won’t be able to find that here. Therapedic is a company that has been in the United States for over fifty years. Because they have been around for such a long time they have been able to build a reputation for providing quality mattresses. Therapedic works to make sure that they are staying on top of mattress innovation and include the most advanced technology in their products. One of the biggest things that Therapedic has tried to do with their mattresses is include the best of all sleeping technology. This means that they use a combination of coils, memory foam, gels, and other innovative designs to try to create the best bed possible. They offer ten different lines of mattresses and each line has different features. This is one of Therapedic’s most popular lines because it combines a few different mattress features. The mattress is made of seven different layers with each layer providing a different level of comfort. There is a combination of memory foam and coils for support, gel memory foam for a cooling effect, and latex for extra comfort and mobility. This mattress is highly responsive to your body making it feel customized to your shape and temperature. This is another top feature at Therapedic because it is a tool that helps distribute more or less support as your body needs it. Backsense technology uses an hourglass shape to distribute 18% support to your shoulder and hips while giving 13% support to the lumbar region. This helps to eliminate back pain and it can be paired with almost any other bed collection that Therapedic offers. One complaint that many people have with memory foam is that it gets really warm. Traditional memory foam adjusts to the temperature of the person sleeping on top of it, so it can get warm throughout the night. Therapedic has tried to fix that problem by using EcoGel technology and they include a layer of gel in their memory foam to provide cool comfort all night long as well as the support and comfort of memory foam. There are so many options to choose from at Therapedic that you are bound to find a bed system that works for you. Therapedic has a wide price range and depending on where you purchase your mattress and the size, you can find a bed anywhere from $500 to $1,300. If you are looking for a mattress that is not just one type of material like all coils or all memory foam, then Therapedic might be a better company to look into. You are able to customize your features to fit your needs. So if you want to have more support and less motion transfer, but cooling isn’t an issue for you, you can create that mattress with Therapedic. On the other hand, because there are so many options to choose from it can be overwhelming to find the right mattress. Plus, prices can be more expensive at some retailers so you might need to hunt around for a good price. Overall, Tempurpedic and Therapedic are great brands to use when trying to find the perfect mattress. They are higher end and will provide quality products, no matter what you choose to buy. If you want a simpler process and fewer choices, Tempurpedic might be the best bet but if you are looking to completely customize everything about your mattress, Therapedic will be your better option.